By attending the Executive Programme you will gain resources and knowledge to craft an own Moonshot venture – we want to un-learn your current state of mind and help you to receive a totally new way to think futures. You will leave the programme equipped with the foundations to actively steer your personal strategy instead of just follow others. Moonshot Thinking will be a core element of the programme. Our intense courses will transform your mind and heart to be ready to make an impact on this planet. It gives your perfect arguments to convince your team and colleagues to go a step further and make the unthinkable possible: Desirable Futures for all of us. Over the course of 2.5 days you will work on your own Moonshot Challenge in a setting of co-creation and future thinking energies. See the preliminary agenda below. Get a comprehensive understanding of the impact of exponential technologies on our society and learn to master them. You will also gain the mental tools and frameworks required to predict and leverage technological developments anywhere in the world. The ability to draft Moonshot Challenges and develop disruptive innovations based on our Moonshot Framework and the Art of Moonshot Thinking. We offer appropriate tools, techniques, and hypothesise about the effect of a new technology will have on future markets and your company development. A certificate from Futur/io institute to certify successful completion of the programme as well as our latest book “Moonshots for Europe”; a validation of your fresh knowledge and skills. With the certificate, you get an invitation to the exclusive alumni and faculty network community. Exponential technologies affect every industry much more comprehensive than any other technological shift in human history before. The term ‘exponential’ describes a global phenomenon which shifts the trajectory of social development from linear to exponential. That means, once an exponential technology reaches the point of no return the change is inevitable and therefore disruptively immersive for corporations and society. Having this in mind, we have the chance to shape Desirable Futures for all of us based on the Sustainable Development Goals (SDGs) defined by the UN. Our programme helps you to become fully educated using exponential technologies and the Art of Moonshot Thinking to create moonshots and Desirable Futures for your company and our society. At Futur/io Institute we have a Mission for Europe: We strive to inspire and help create Desirable Futures for all of us. 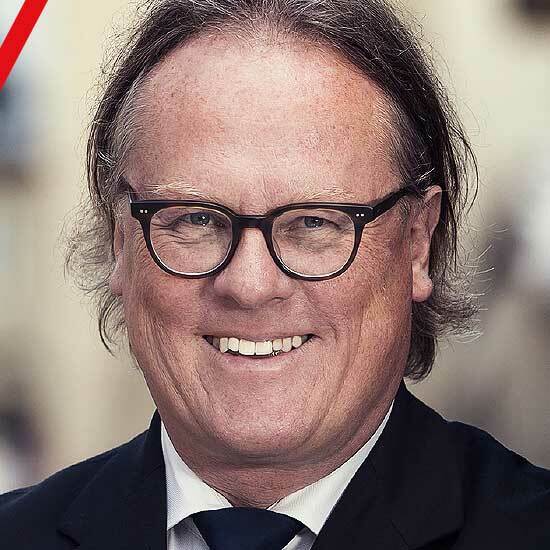 This is a challenge, and especially in the wake of the upcoming European Parliament election from May 23-26 it is more than ever necessary to take a stand for Europe. For that reason, we are going to discuss Desirable Ideas to improve, strengthen, and foster the European spirit. These participants are three out of 22 finalists who attended the Red Bull Futur/io Academy 2019 in Lisbon. We invited the winner of the Grand Prize and two finalists to show the diversity of the submitted videos. They will share their visions for Desirable Futures and we like to support them to spread their ideas. Module 2 – Moonshot Projects: What is a Moonshot? A Moonshot is visionary and ambitious idea which will grow exponentially and remain relevant over the next 10 to 20 years. Guiding a project through an uncertain future and convincing the right people to collaborate requires strong arguments, deep knowledge, and the right tools. The attendee will receive knowledge about real Moonshot projects as well as the power of exponential technologies. Presence, Purpose and comPassion are the hidden keys to successful self-leadership. The more present we are in ourselves, the more present we can be with someone else. The more self-aware and self-understanding we are of ourselves, the more we will be able to guide ourselves into the future we desire and visualise. The more we exercise kind inner dialogue the more we actually motivate and encourage ourselves and others. Join our one hour deep dive to connect with and explore your own self, through reason and intuition. Prepare yourself mentally on change and prepare your mind for new encounters. Envision your contribution to a Desirable Future and mark what is holding you back to shape that future you so deeply desire. In this workshop, the attendees will create their own Moonshots based on our Moonshot Framework. Moonshot Thinking is the capability to think exponentially into the future and define a vision. You will learn to accept uncertainty and give any idea a chance to be a good idea. Any idea or future scenario can come true when the relevant technology arrives; it is better to think of the future now than wait until competitors have done it instead. Moonshot Thinking also means that there are many Desirable Futures you can help shape. How can startups, SMEs, and Hidden Champions accelerate Moonshots for Europe? The goal of a Moonshot is far beyond today’s stage of development and it focuses to shape Desirable Futures that might only come to full fruition in a decade from now. We discuss strategies, ethical obligations and the need for a European innovation agenda making to pave the way for Moonshots and Desirable European Futures shaped by the market. This after hour panel is a side event of Futur/io’s Executive Programme featured & supported by SAP. Exponential technologies are rapidly accelerating and shaping major industries and all aspects of our lives. Business leaders often disregard or do not notice technologies during their deceptively slow growth phases, and continue to neglect them until they begin to change the way we live and do business. We give you deep insights about the latest exponential technologies and let you know what you can expect from them. AI and Robotics are key technologies and a driver for a paradigm shift as well as a milestone in the interplay of humans and machines. AI and robotic assisted medicine and healthcare will have various advantages fighting diseases and helping people to have an exponentially better life. Our experts discuss the future transformation from a corporate and research point of view to reveal common strategies how the future of health might look and what patients can expect from these exponential technologies. in corporate organizations where you have to break it down to daily tasks, it is important to understand the different digital innovation models.These operating models make also visible what tools and methods work and what not. What is the key differentiator for European companies in global competition? After attendees have spotted Moonshots they must start to execute them. This effort is long journey with a lot of challenges and obstacles. Here you learn how to overcome these challenges and what it needs to work on a future which is yet uncertain today. 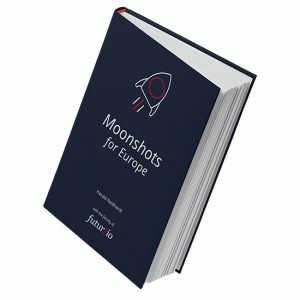 Module 6 – Moonshots for Europe and what’s next? We’ll reflect on the Art of Moonshot Thinking with our attendees. The attendees get the chance to ask questions and receive thereby knowledge which was not pre-scheduled by Futur/io. The more you ask Why the more you will understand the Art of Moonshot Thinking. More lecturer will be announced soon.